Leamy Lake Interpretation – Evolution Professional Design Consultants Ltd.
Two interpretation and orientation sites within the Leamy Lake Park were developed to give the park users the opportunity to become familiar with and gain greater appreciation of this location administered by the NCC. 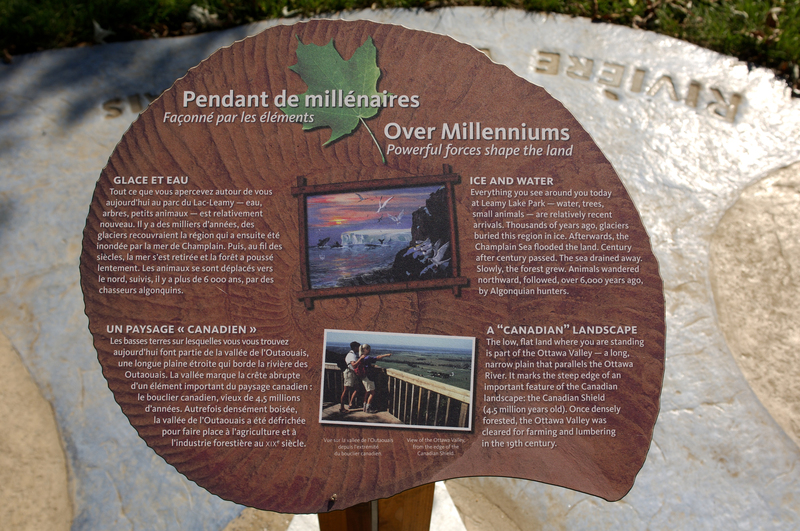 The first interpretation area was located close to the newly rehabilitated beach pavilion and the second was installed near the City of Gatineau Visitor Centre. The project received an Award of Excellence from Interpretation Canada. This project included interpretive research, content development, design, and supervision of fabrication and installation of the two interpretation areas. Issues included the tight-timeline for the project, the limited budget and unique site considerations (high vandalism, limited site size). The proposed target audience mainly beach and recreational pathway users. The Interpretive and Environmental Graphic Design focused on providing the visitor with an interactive, uncomplicated and compelling exhibit that would appeal to all ages. A scale “map” of the park oriented small “bite-size” interpretation panels. The arrangement and writing of the panels was such that there was no beginning nor end to the story thus providing a casual and relaxing atmosphere despite the content being very detailed and precise. The high incidence of vandalism required a robust design and the detailing of the plinths had an architectural link to the adjacent pavilion. Above is an example of the “bite-size” interpretation panel. 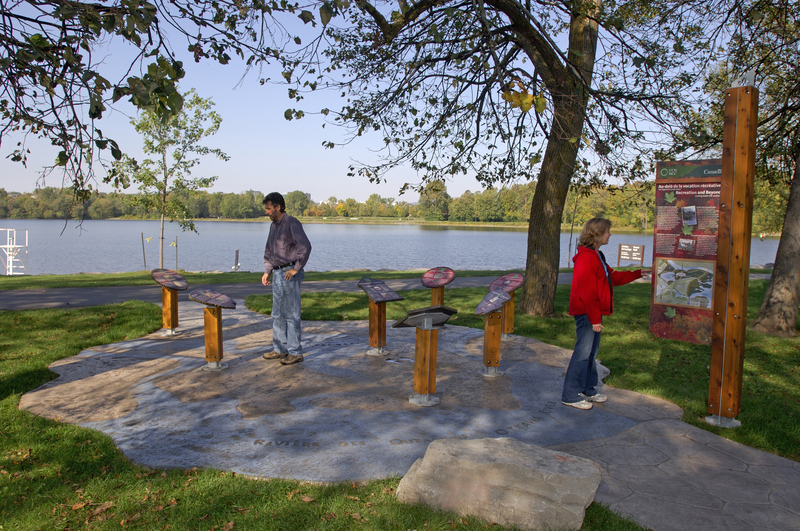 It provides the visitor quick and accessible information about the lake.